Hail to you, brother of war! Honor and glory awaits you in the arena! 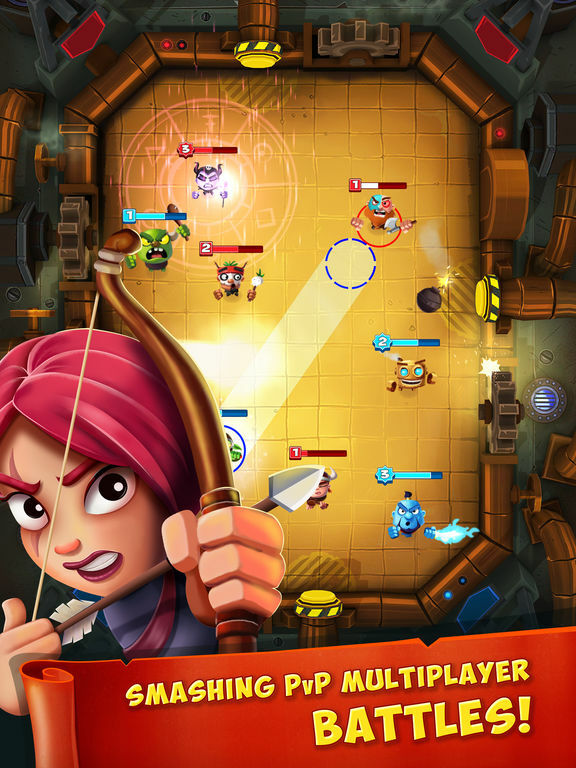 Enter now and face fierce battles in this PvP multiplayer smash hit! 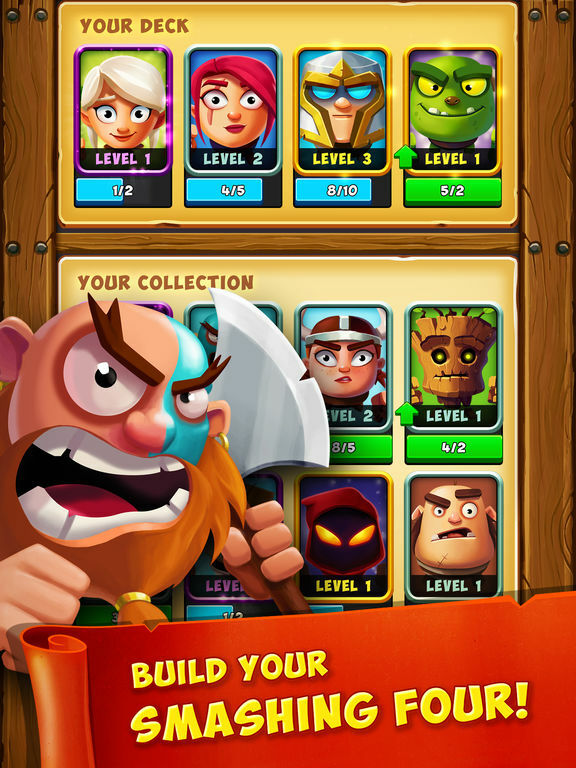 Build your fearless Smashing Four squad and fight your way to the top! 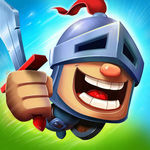 Win battles, collect rewards, upgrade your heroes and unlock their powerful abilities that will turn arena upside down and smash the enemy to pieces. Advance to higher arenas and adapt your strategy to new, challenging battle environments. Unlock amazing new heroes, add them to your squad and search for the best strategy! Master your skills and make it to the top of the leaderboard. Who knows, maybe you'll join the company of best players in the world? Create or join a team to collaborate with other players for faster progress. Meet other players and make new friends! 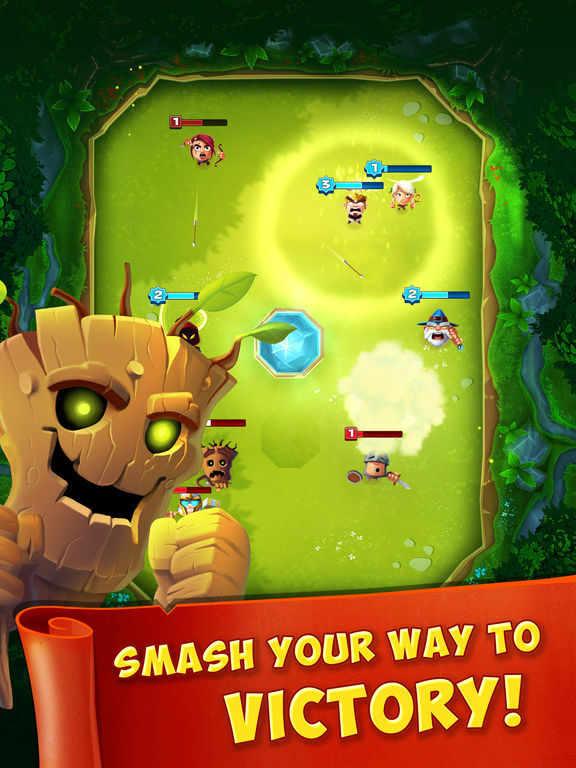 Enter the challenging world of Smashing Four now! 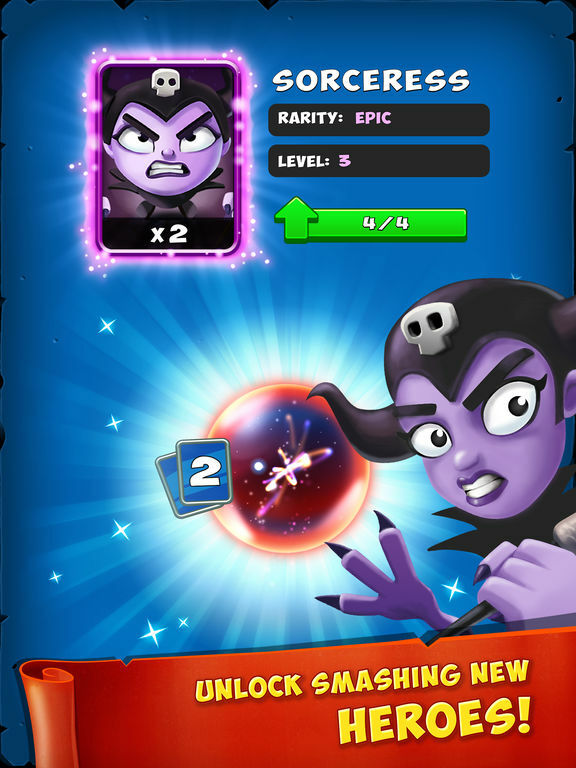 The cards can reveal new players (with new attributes) or clones of cards already owned and/or deployed. Clones can then be used to upgrade existing pieces do that they can be more useful in battle. It comes together well, and has been an enjoyable pastime for the past few days. Better than shuffleboard?